There was about 2 weeks to decide where to spend my holiday. After all, my next trip was Vietnam, Hanoi and Ha Long Bay. In brief, Hanoi is the capital city since the reunification of North and South Vietnam in 1976. It is the country’s second largest city lies on the right bank of the Red River. Due to the time constraint, we have decided to get local guided tour to Hanoi and Ha long Bay. From Singapore Changi Airport (Terminal 3) to Noi Bai International Airport (Vietnam Airlines) Generally, it took about 3 hours to reach Hanoi International airport from Singapore. Hanoi International airport is the largest airport in the north of Vietnam and about 30-45 minutes drive from the city center. Upon arrival at Noi Bai International Airport, it took me quite some time to get my luggage. Next, meet up with our tour guide and go for dinner. The December in Hanoi was cold weather. Dinner at 5 Spices Vietnamese Food restaurant. 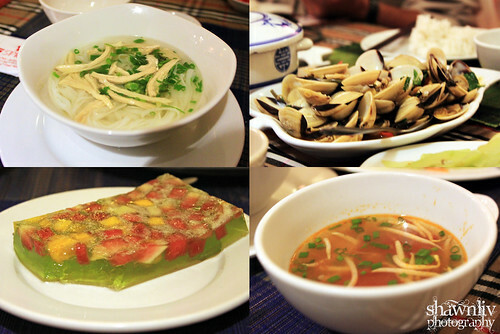 In brief, 5 Spice is a real authentic Vietnamese Food located at 33 Chau Long, Hanoi (Across the street at Bookworm). Overall, the food was fine and the decor of the restaurant was nice. Beside, the place is clean and tidy. Good and simple hotel to stay. The Hotel is located in the central part of old quarters, very close to night market (Weekend only) and other local shopping areas. Overall, the room is clean and nice. In particularly, good customers services and friendly staffs. Beside, it provided with fast and free Internet. However, my room is facing to the street at second floor. Therefore, a bit noisy before 12.00 am.